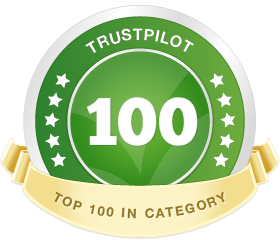 A smart green packing tape made from strong durable vinyl, this tape is also good for artwork or identifying packages for storage, moving or shipping. The coloured tape sticks instantly on most clean dry surfaces so has many uses in schools, offices and warehouses. Our green adhesive tape, like our other coloured tape, is perfect for packing, wrapping and sealing parcels or cartons and as a colour coding identification when shipping or storing items. Strong and durable since it’s made from vinyl, our green packing tape permanently adheres to smooth and clean surfaces such as walls, boards and posts with a long lasting performance. 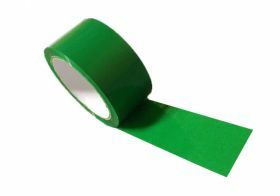 You could also use our green tape for marking the location of safety equipment like fire extinguishers, first aid cupboards, respirators and safety showers, so it’s especially suitable for offices, schools and warehouses. Coming in handy for general purpose applications like wrapping, sealing, patching, decoration or arts and crafts, our green adhesive tape is versatile for daily use. Although it’s easy to apply, you can use one of our tape dispensers should you prefer. Made from long-lasting vinyl it is also possible to write on it with a permanent marker. Our green adhesive tape comes into its own for marking or labelling where to find safety kit, such as first aid boxes and respirators, and is doubly useful because you can write on it. It’s invaluable for pointing out small fire extinguishers for electrical equipment like computers. The green tape is convenient and easy to use as it adheres to any surface that’s smooth and clean, and it’s strong and long lasting too. Our coloured tapes are the perfect material for sealing and wrapping items or boxes that need labelling and sorting.